The miniseries (or “limited series,” if you want to buy into network PR) is having a renaissance. Once a stalwart event of broadcast television, the miniseries fell by the wayside for several decades. But it’s really the only way to adapt a great novel to screen, since those kinds of novels are, by design, not meant to be serialized and last forever. The miniseries also suits the particular kind of rich, protracted storytelling of a show like Fargo (which, though not based on a book, was based on a movie, and therefore had a similar kind of purposefully limited scope), or other anthology series like True Detective (Season 1, anyway) and American Crime Story. 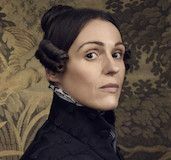 Where the miniseries has not been used much, so far, is on streaming platforms as original content. Netflix, Amazon Prime, and Hulu have all sought to establish their places as content creators by producing full series, which makes sense. But Hulu, forever seeming to live in Netflix’s shadow, is starting to think outside of the box. And with their Stephen King miniseries (produced by J.J. Abrams), 11.22.63 — a title stylized to differentiate it from the novel, 11/22/63 — they have achieved something unique and highly satisfying. 11.22.63 follows the story of Jake Epping (James Franco), a teacher who is shown a portal from the present day to the 1960s — specifically, October 21st, 1960. His guide to this other realm is his friend and diner owner Al Templeton (Chris Cooper), who has been using the portal to try and stop the assassination of John F. Kennedy three years later. Now, he’s passing that torch on to Jake, who is galvanized into action by that collective dream that maybe I — yes, I! — can enact real change. Time travel stories can be a tricky thing, but 11.22.63 sets up the rules clearly and immediately. By the end of the opening episode, viewers should be fairly well acquainted with what Jake needs to do, why Al can’t do it anymore, and the steps needed to get there. It all sounds completely ridiculous (“go back in time and stop the assassination of JFK!”), but 11.22.63 finds the right balance in Jake between disbelief and an earnest desire to try it anyway. The time travel isn’t the mystery — not yet. Instead, the show pivots immediately into a glossy 1960s thriller, peppered with some of King’s trademark horror. To be fair, 11.22.63 is really set up perfectly for a full series, with each year Jake is there (which only spends about a minute of present-day time — it’s like Narnia) serving, potentially, as a new season. But to its credit, the series doesn’t dawdle or waste time with Jake poking around the past. He does what needs to do, he learns lessons (such as, just because 60s prices seem outrageously cheap, don’t be flashy), and he stays focused on his mission. Eventually, he picks up two allies (George MacKay’s Bill as a young Kentuckian looking for adventure, and Sarah Gadon as Jake’s love interest Sadie Dunhill), and one major adversary: the past itself, which tries to prevent Jake from getting too close to Lee Harvey Oswald (Daniel Webber), his potential handlers, and the ultimate truth. 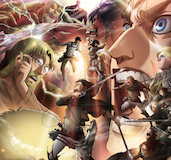 The “past pushing back” is what creates the series’ tension. 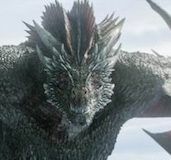 Random, sometimes recurring characters stare at Jake and insist “you shouldn’t be here,” while Jake’s actions occasionally cause fatal calamities. (Jake himself also commits some extremely violent acts, usually to help out abused wives). But the question weighs on Jake: how many lives will be lost to save one, and can that one even be saved? 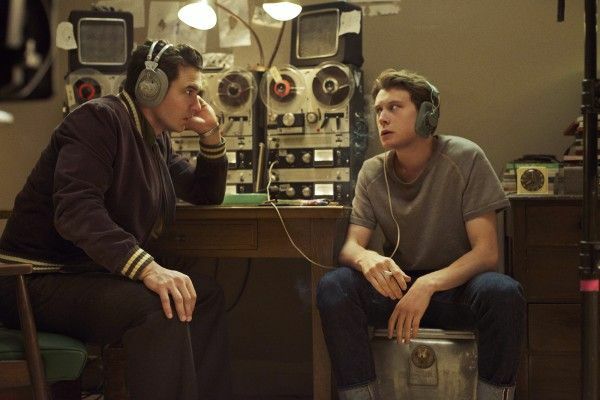 On broadcast, 11.22.63 might have ended up as a sanitized, “hey look, it’s the 60s!” kind of series that wouldn’t have been half as compelling as it is on Hulu, where it is often violent, scary, and profane. 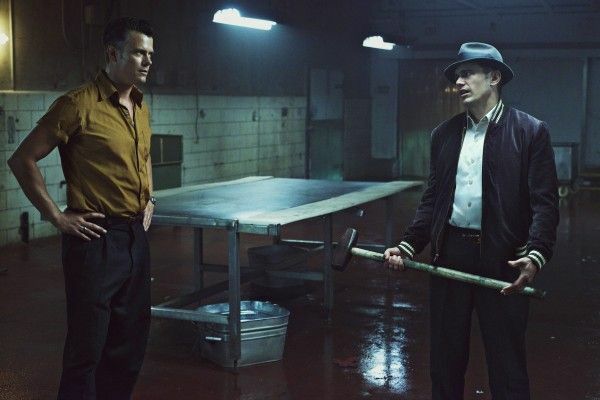 A series certainly doesn’t need to be any of those things to be good (and some of 11.22.63’s profanity seems to veer off the edge of “wow, no censors!”), but this isn’t a story about admiring the past. It’s edgy and gritty and doesn’t fall into a winking wonderment at a bygone era. Jake’s cocky attitude about his historical hindsight is soon replaced with fear and confusion about being in a time that is far more complex that he was prepared for, especially in the ways it both pushes him away and pulls him in. Ultimately, a lot of 11.22.63’s success hinges on the likability of Franco as Jake, and he achieves that in spades. He’s charming but not smug, earnest but not dull, and his performance feels believably hopeful and also beleaguered, as Jake hones in on Oswald and those he believes are part of the conspiracy. He’s capable and driven, but he also struggles and makes plenty of mistakes. And while the series’ supporting cast members are all great (particularly a grizzled Chris Cooper, and a pair of maniacal ex-husbands in T.R. Knight and Josh Duhamel), it’s still Franco who really shines. 11.22.63‘s aesthetics are tantalizing, the acting compelling, and the twists and supernatural elements are genuinely shocking. But, some of the writing is a little blunt and expected, and then there’s the whole “Jake has to always be the white knight acting in the service of damsels in distress,” thing. 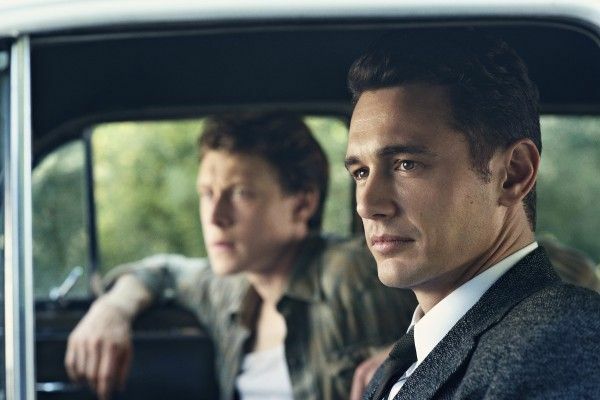 Still, 11.22.63 is also a series that movies quickly, and provides enough twists and turns that it’s easy to get swept up in (even though Hulu is only releasing one episode a week). Basically, it’s like a very good novel. 11.22.63 premieres on President’s Day, February 15th, on Hulu.